These People Have Never Tried Nutella But Why?! "You specifically told me not to double dip, but the power of Nutella compelled me!" We're not sure how it's possible that some people have never tried Nutella ever, because it seriously is the best palaman ever (Ed's note: Lily's Peanut Butter is a close second, JSYK). 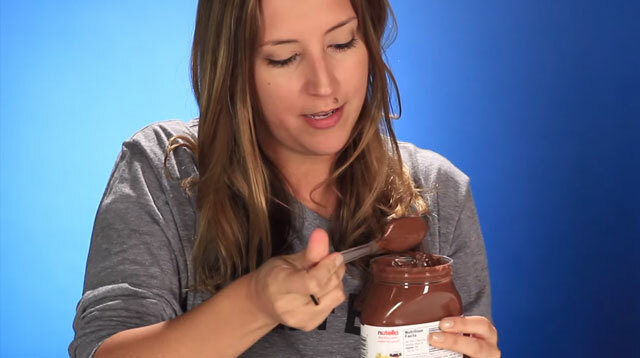 So what happens when Nutella virgins become, uh, virgins no more? They feel pure bliss, you guys. One dude even points it out, "You specifically told me not to double dip, but the power of Nutella compelled me!" That same guy also shared, "I don't like peanut butter, but this is like peanut butter's hot sister I want to date." Not everyone liked the spread though. Because there was this other guy who wasn't happy at all, saying, "This is disgusting." To which we reply, "What's wrong with you?!"